On February 28, Matt House, Communications Director for Senator Chuck Schumer, pointed to a correction in The New York Times regarding a meeting between Donald Trump and Congressional leaders: “An earlier version of this article misstated the timing of a similar televised meeting. It was in January, not last year.” “The media pace of this presidency is captured perfectly” by the correction, he commented, and it’s hard to disagree. The relatively staid pace of normal politics has been swept aside and replaced by what feels like a bad plot from a later season of 24. Sickening though such developments might be for those of us who are living through them and wondering how they might turn out, they have at least been fodder for a host of podcasts that aim to combine the compelling narrative drive of non-fiction hits like Serial with analysis of the constant torrent of disturbing new headlines. Given that the presidency has been debased to the level of a cut-rate reality-TV series, it’s fitting that attempts to recount and make sense of developments in Washington have themselves often come to resemble shows that recap something like Big Brother or The Apprentice. Some, like FiveThirtyEight’s Politics Podcast or The NPR Politics Podcast, tend to focus primarily on summarizing recent events. FiveThirtyEight’s emphasis on analyzing the news via a data-driven approach tends to make it rather drier, and at times it gets bogged down by founder Nate Silver’s tendency to focus on criticizing media organizations who adopt a less quantitative approach to politics than his own outfit. 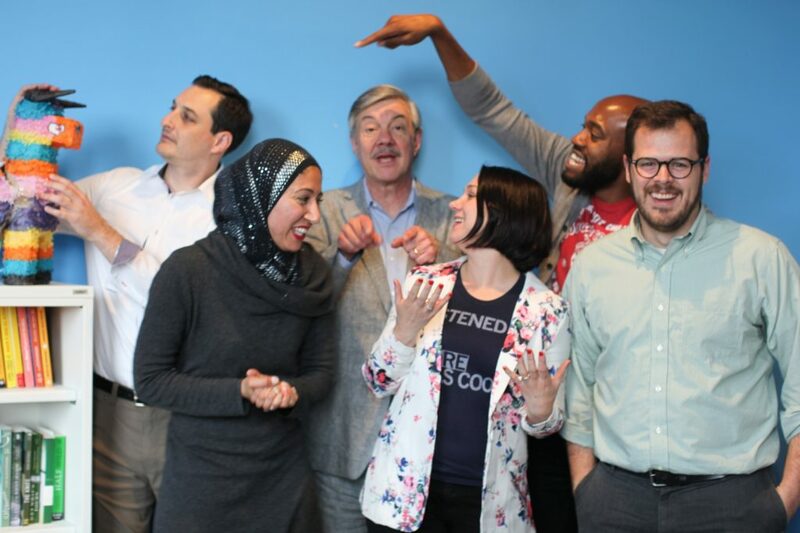 By contrast, NPR’s podcast plays it straight and earnest, particularly in their weekly episode, typically produced on a Thursday, in which they summarize the past week’s events and offer additional analysis for listeners who might need additional context for some of the discussion. The latter approach is more effective, allowing the rotating cast of reporters and editors who host the show a chance to delve into important stories without alienating those whose knowledge of politics might be somewhat more superficial. Photo by Nicki Dugan Pogue. Not many foods deserve a biography. Those that do generally either date back to prehistory (bread, wine, beer) or were among the essential building blocks of empire (tea, sugar, bananas). But chemical leaveners, including baking powder, had humble origins and, not terribly long ago, they altered the way we eat dramatically. Imagine no cookies, cupcakes, pancakes, waffles, biscuits, doughnuts, or quickbreads. Okay, now stop imagining that: I don’t want to traumatize anyone. But chemical leaveners made all of them possible. 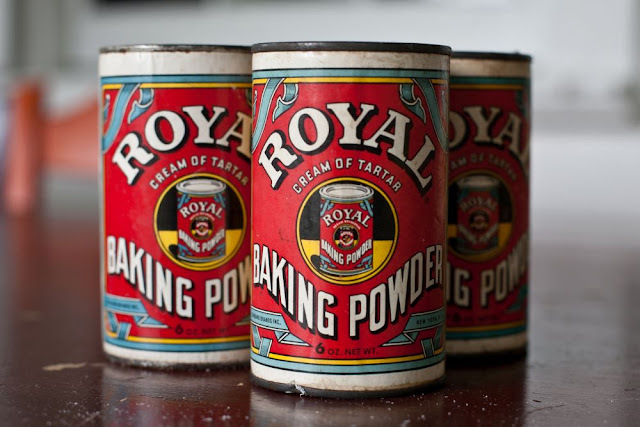 With Baking Powder Wars, food historian Linda Civitello has recovered the forgotten story of how chemical leaveners changed the way we eat – the story of an “indispensable, invisible ingredient.” Its protagonists are, at the outset, American women. This is because, though baking was largely professionalized in Europe, in much of North America it was the domain of housewives. In fact, Protestant moralizing on this continent associated baking with feminine virtue. Before the advent of chemical leaveners, baking meant bread, and bread meant yeast. Even the rare cake was leavened with yeast. I enjoyed the hell out of Jeff VanderMeer’s novel Annihilation, but I was skeptical it could be effectively translated to the silver screen. Big surprise, I know, but this particular story, in its abstract, expressionist horror, seemed like it would be uniquely difficult to adapt. Unless, of course, there was a great sci-fi craftsman like Alex Garland at the helm. That would change things. 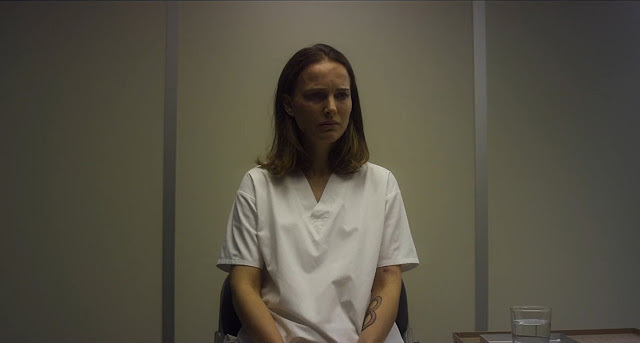 And change things Garland did, making choices in writing and directing a film version of Annihilation that clarified the novel’s abstractions, crafting a story (which, at its heart, is itself about the agony of change) that is very different from its original form, partly to appeal more to a broad audience, and partly because a good deal of interpretation is required in order to bring VanderMeer’s oppressively vague prose to a more concrete visual medium. Annihilation is not going to appeal to most audiences, but then, neither did the novel. I think what Garland achieves with his adaptation far surpasses his source material, as he finds a way to take a gloomy Lovecraftian horror story and mine it for a shattering emotional payload. 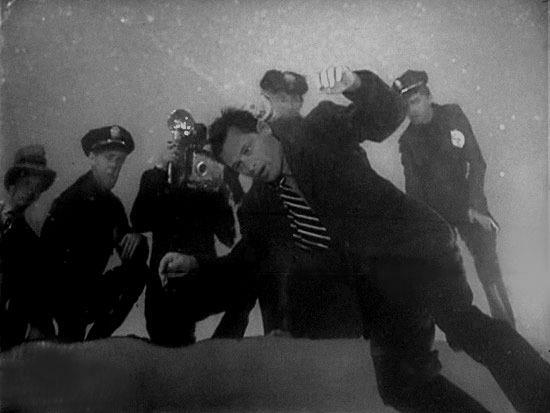 William Holden, Sunset Boulevard, 1950. When I was a kid in the 50s and 60s, growing up in the wasteland suburbs outside Toronto (Don Mills was, by the way, among the first such planned outliers in North America; it looked rather pleasant and was a splendid locale for experimenting with Aldous Huxley’s spiritual vitamins) and where I spent much of my time watching television like most of my fellow baby boomers, I was also treated to a rather unique experience that my fellow truants were not. While whiling away the dreamy hours in front of that magic flickering box I would occasionally be taken aback by the sight of my own surname on the screen as the writer and producer of many a classic black-and-white film being screen on the new medium of TV. Something to do with Hollywood? He was, in fact, a member of Hollywood royalty, having also been a member of the Lost Generation in Europe along with Hemingway and Fitzgerald (both of whom he knew and nursed through their hangovers) before coming to New York and being a member of the Algonquin Room circle along with Dorothy Parker and Robert Benchley (more help with hangovers, Charlie being teetotal) while also serving as the drama critic for The New Yorker. Like other talented writers (including of course, Fitzgerald and Faulkner) he was eventually financially lured to Hollywood, where he was teamed up by Paramount Studios with a recent émigré from Austria who barely spoke English, to write screenplays for the great Ernst Lubitsch. Pepperland, American choreographer Mark Morris’s latest work, is a new Beatles-inspired dance and, to paraphrase the Fabs, it takes you on a boat on a river to travel back to a not-so-distant time when patchouli scented the air and love was all you needed to change the world. Inspired by Sgt. Pepper’s Lonely Hearts Club Band but taking its title from the George Martin instrumental in the animated film Yellow Submarine, the Beatles project which soon followed the 1967 record that Rolling Stone calls the greatest rock album of all time, the nearly hour-long work reimagines the Swinging Sixties as a Technicolor dream. That's how Paul McCartney once described the decade he and his bandmates not only dominated but redefined. Accordingly, the mood is nostalgic in a sunny, giddy, carefree sort of way. 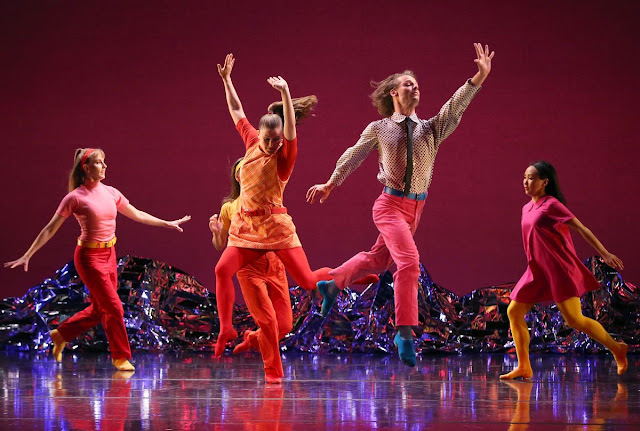 The dancing, dexterously and whimsically performed by 14-members of the Brooklyn-based Mark Morris Dance Group, skips and leaps and somersaults. The direction is up. 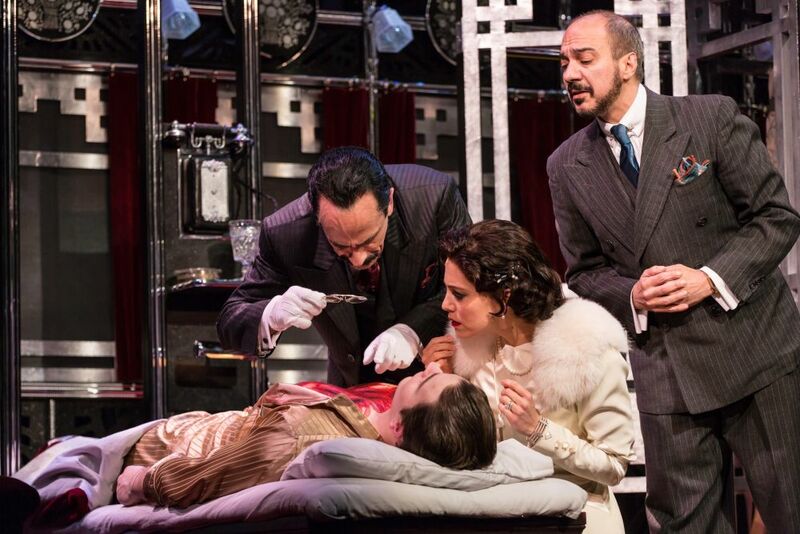 What two sets of filmmakers (screenwriter Paul Dehn and director Sidney Lumet in 1974, screenwriter Michael Green and director Kenneth Branagh in 2017) couldn’t manage to do – turn Agatha Christie’s 1934 mystery Murder on the Orient Express into entertaining dramatic stuff – playwright Ken Ludwig and director Emily Mann have managed with seeming effortlessness. The production from the McCarter Theatre Center (where Mann is artistic director), currently playing at Hartford Stage, is charming, funny and stylish. The veteran Ludwig, whose long list of credits includes Lend Me a Tenor and the book for Crazy for You, the Gershwin musical that began life as Girl Crazy, has taken a light, parodic approach to the famous Christie material, her tenth Hercule Poirot adventure – which begins when the eccentric Belgian detective, with the aid of his train-line director friend M. Bouc, cadges a last-minute seat on board the unexpectedly crowded Orient Express from Aleppo to Istanbul. The first night of the trip, an American gangster calling himself Samuel Ratchett is stabbed to death in his compartment. The next day, while Poirot is interrogating the other first-class passengers and the conductor, the train is immobilized by a snowstorm – and in both the Lumet and the Branagh versions, the movie follows suit. 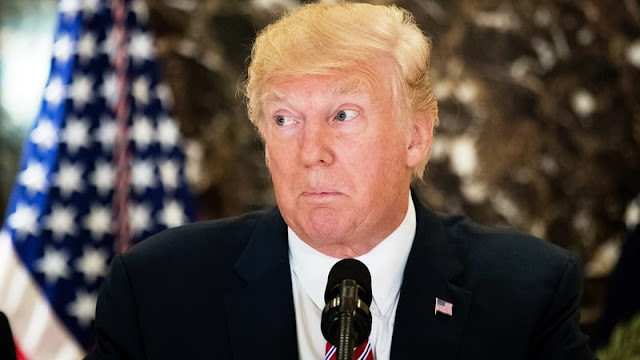 Even before the publication of Michael Wolff's mega-bestseller, Fire and Fury: Inside the Trump White House (Henry Holt and Company, 2018), media outlets, among them The Guardian and New York, offered their own searing scoops: Trump's former strategist, Steve Bannon, claimed that the June 2016 meeting between Trump's son and Russian officials was "treasonous" and "unpatriotic"; Trump expected that he would not win the election nor did he covet it. Instead, he anticipated that he would become the most famous man in the world, a martyr to "Crooked Hillary," and that his daughter, Ivanka, harboured presidential ambitions. Wolff, an award-winning journalist writing in such prestigious publications as New York and Vanity Fair, and the author of a biography about the media mogul, Rupert Murdoch, has garnered a reputation in the journalistic world that is not "bullet proof," according to Kyle Swenson of the Washington Post. Drawing upon a large array of critics who skewer Wolff as a purveyor of celebrity gossip and for being less than scrupulous with the truth – one questions his journalistic ethics for "pushing the facts as far as they'll go and sometimes farther than they can tolerate" – Swenson leaves us with the impression that Wolff should be read cautiously.